Happy Friday! 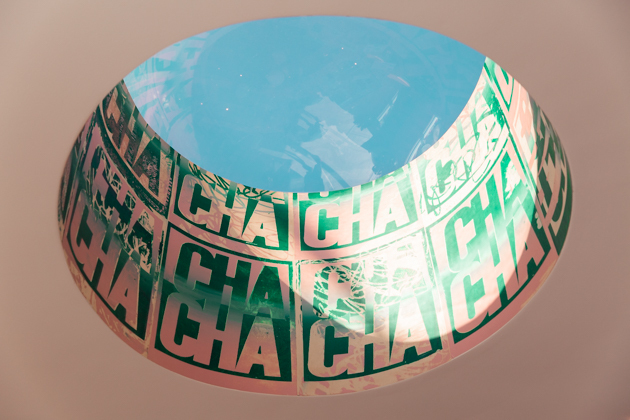 Are you ready for the weekend? I sure am, but sadly I’m not sure how relaxing this one will be. We just put our house back on the market (fingers crossed it sells quickly this time), so I’ll be spending the next couple of days making sure the place looks shiny and new. It’s the perfect time of year for Spring cleaning and calling in something new, so I sincerely hope there is a buyer out there who wants a gorgeous home in Manhattan Beach as much as I want one in Hollywood! 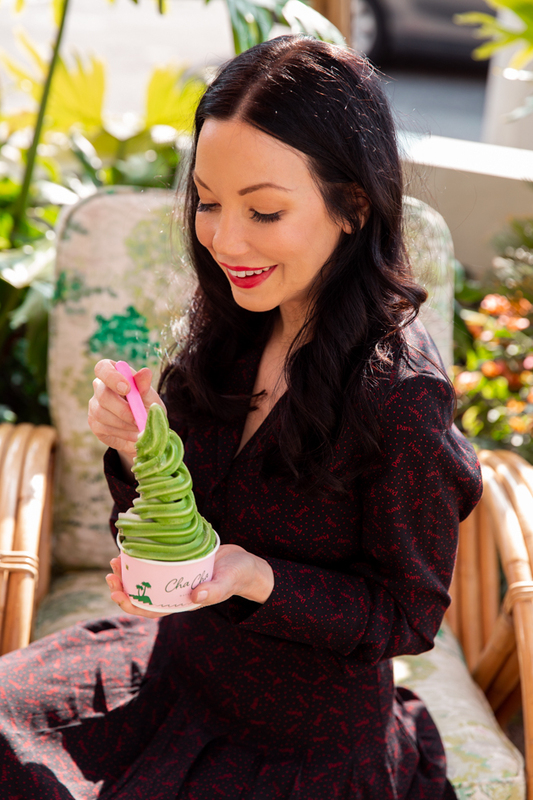 Speaking of Hollywood, Mo and I stopped at the new Cha Cha Matcha on Robertson and fell in love with their macadamia based, vegan soft serve! We also loved their fabulous Matcha menu which includes a “Beauty Latte” with collagen and coconut oil and a “Purple Drink” with lavender and CBD. If you’re in the mood for a light bite you can choose from a delightful selection of gluten-free and vegan baked goods and menu items including Avocado Toast, Vegan Waffles and Almond Butter and Jelly. Nom Nom. 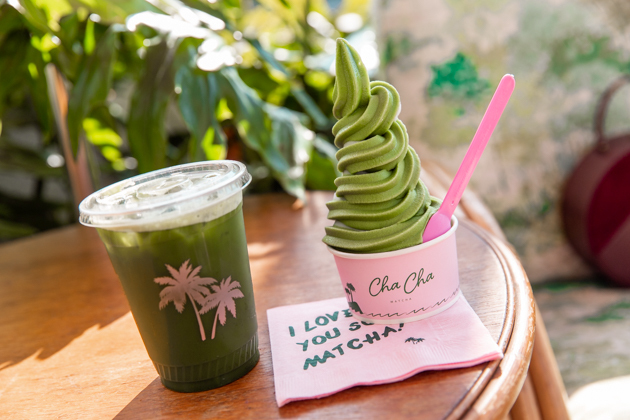 Cha Cha Matcha has several locations in New York, but it’s just now making it’s way to LA with this West Hollywood location on Robertson and it’s second LA store on Abbot Kinney in Venice Beach. I wore my new & Other Stories Paris dress which was super appropriate because I am dreaming of a vacay! Seriously, this dress has Paris written all over it! And did I mention it’s priced at just $69 dollars? It fit’s a little snugger than my other & Other Stories dress, so I’d recommend sizing up if you’re in between sizes. Wishing you a yummy weekend! Do you have anything fun planned? 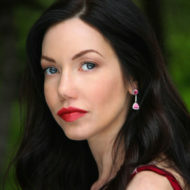 what a gorgeous look! I really like the dress and most especially LOVE the bag! Thank you Celyn! The bag was such a good purchase that I ended up getting it in pink too! They are both in heavy rotation in my closet.